The Geological Museum was built in 1955. It consists of one large room about 80 feet long by 40 feet wide. Fossil displays are in cases along the walls on the main floor and the mezzanine and an open area in the center of the main floor. 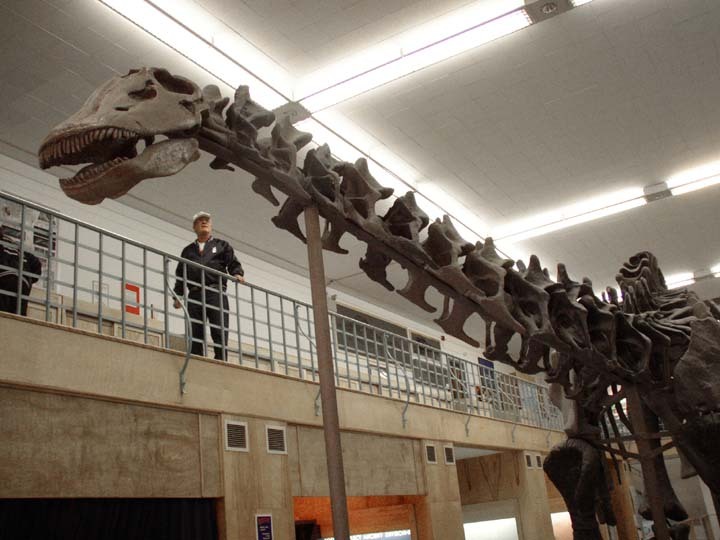 Entering the museum you are met by a mounted Apatosaurus. On the right is a T. Rex head model and a T. Rex skull. To the back is an Allosaurus and above is a Pteranodon. 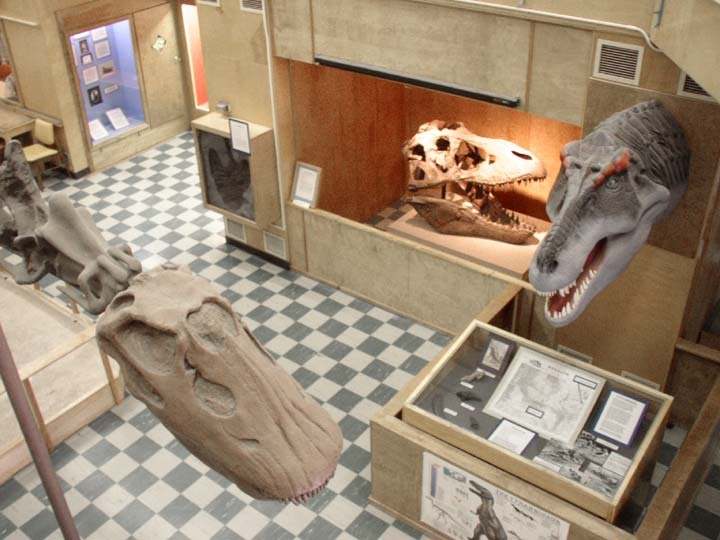 Upstairs is a Tricerotops skull and fossil displays illustrating the major eras. One display case is given to differentiating rocks that appear to be fossils from actual fossils. This is the museum from the entrance. 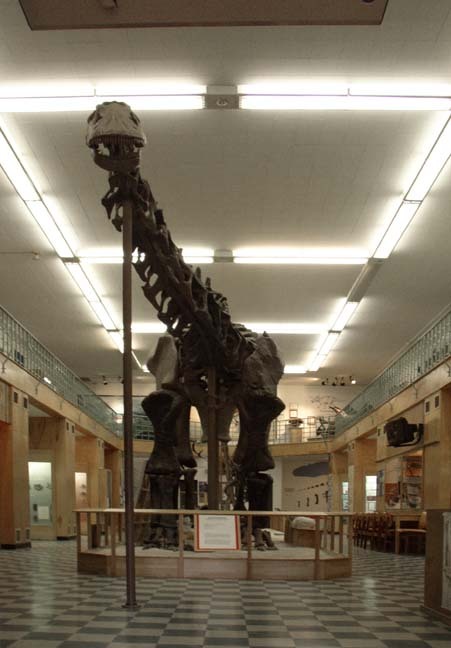 The skull of the mounted Apatosaurus is on the left; the T. Rex skull is in the center, and the T. Rex head restoration is on the right. 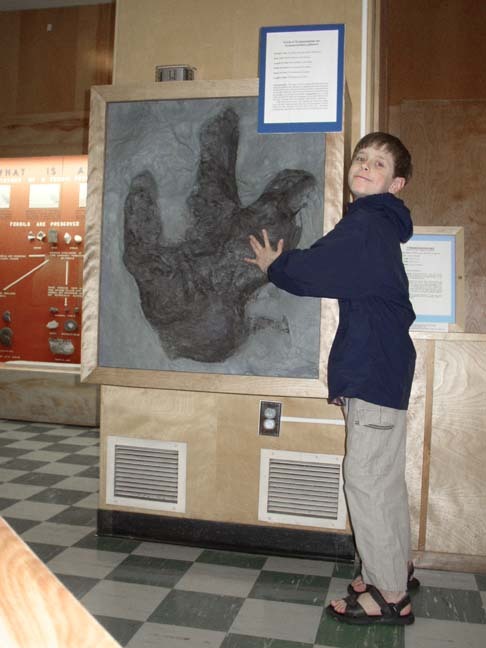 Thomas is comparing his hand with the T. Rex fossil footprint. 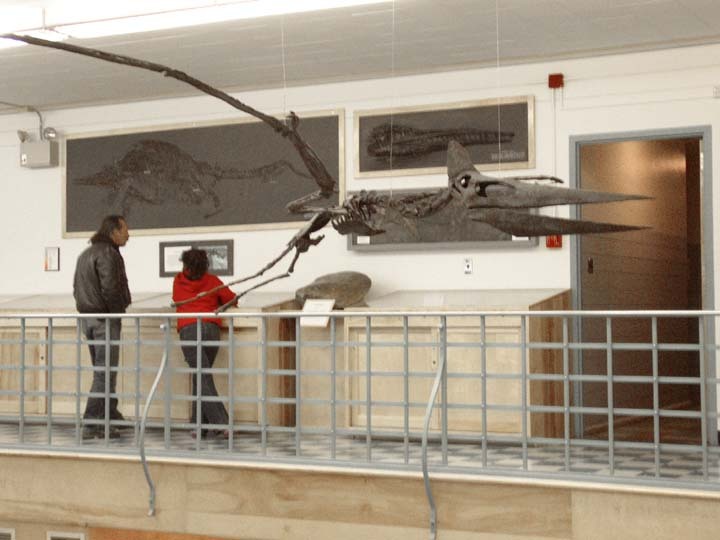 The Pteranodon is mounted near the ceiling above the Allosaurus. 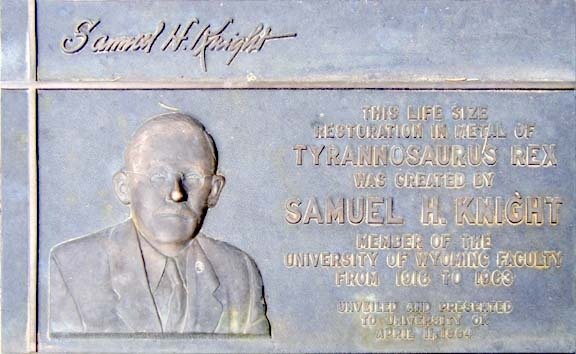 Other fossils besides Dinosaurs are found in Wyoming. 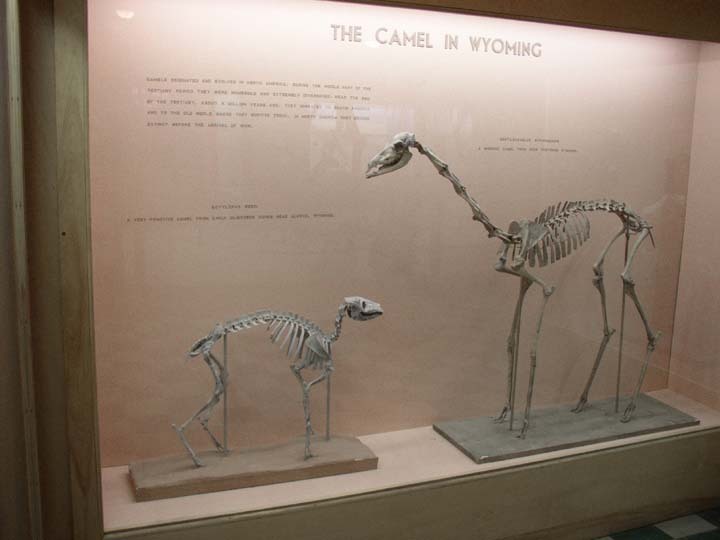 This display case holds fossils of early camels. 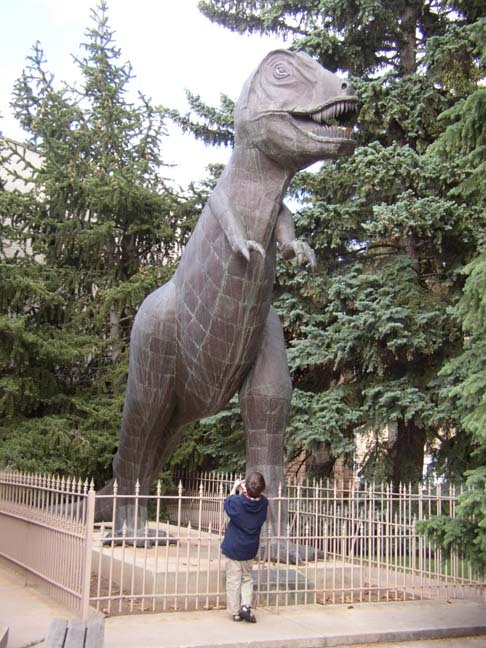 The T. Rex scupture is outside the museum, to the right of the entrance.